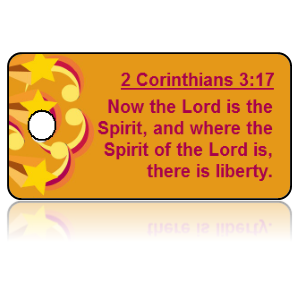 Bible Scripture Key Tags by Share-IT! Tags, great to Share God's Word. 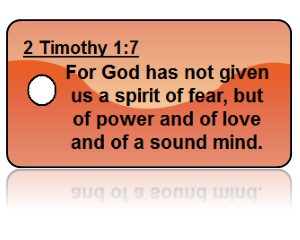 2 Timothy 1:7 (KJV) - For God hath not given us the spirit of fear; but of power, and of love, and of a sound mind. 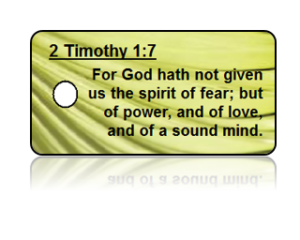 2 Timothy 1:7 (NKJV) - For God has not given us a spirit of fear, but of power and of love and of a sound mind. 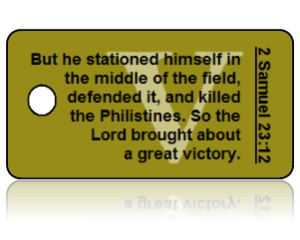 2 Samuel 23:12 (NKJV) - But he stationed himself in the middle of the field, defended it, and killed the Philistines. And the Lord brought about a great victory. 2 Corinthians 9:7b (NLT) - For God loves a person who gives cheerfully. 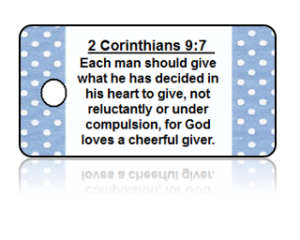 2 Corinthians 9:7 - Each man should give what he had decided in his heart to give, not reluctantly, or under compulsion, for God loves a cheerful giver. 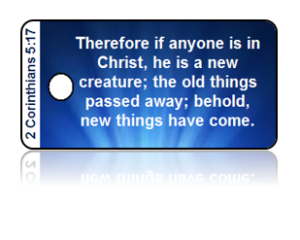 2 Corinthians 5:17 (NASB) - Therefore if anyone is in Christ, he is a new creature; the old things passed away; behold, new things have come. 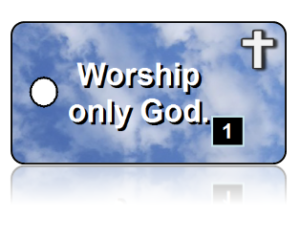 2 Corinthians 3:17 (ASV) - Now the Lord is the Spirit: and where the Spirit of the Lord is, there is liberty. 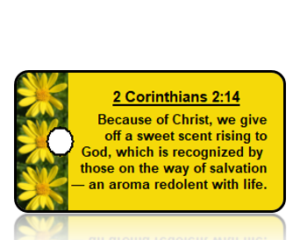 2 Corinthians 2:14 (MSG) - Because of Christ, we give off a sweet scent rising to God, which is recognized by those on the way of salvation - an aroma redolent with life. 2 Corinthians 12:9 (ESV) - But he said to me, "My grace is sufficient for you, for my power is made perfect in weakness." Therefore I will boast all the more gladly of my weaknesses, so that the power of Christ may rest upon me.